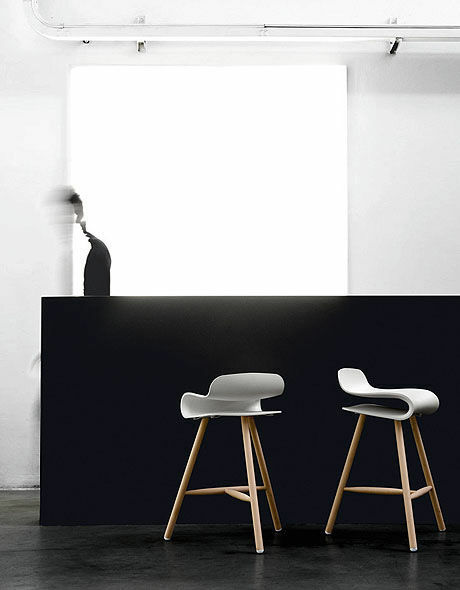 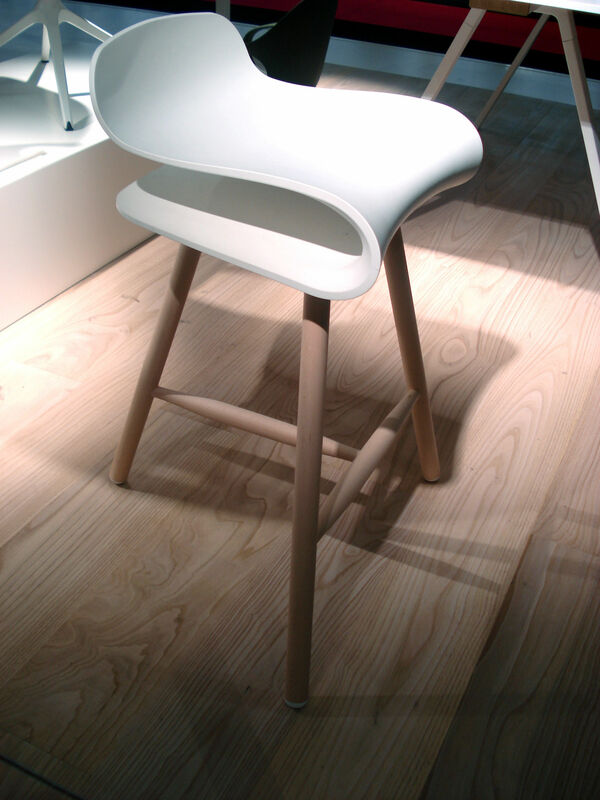 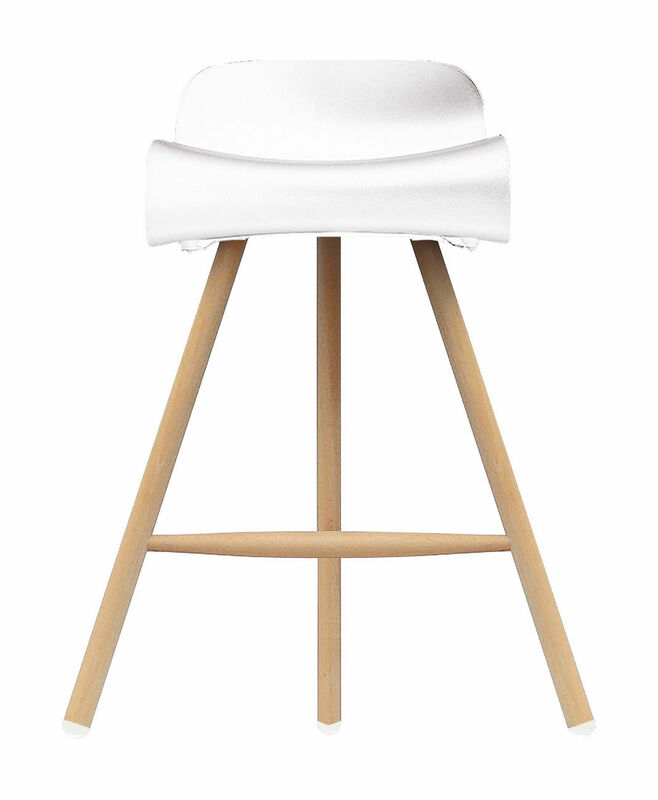 Research into new furnishing materials has produced the BCN stool. 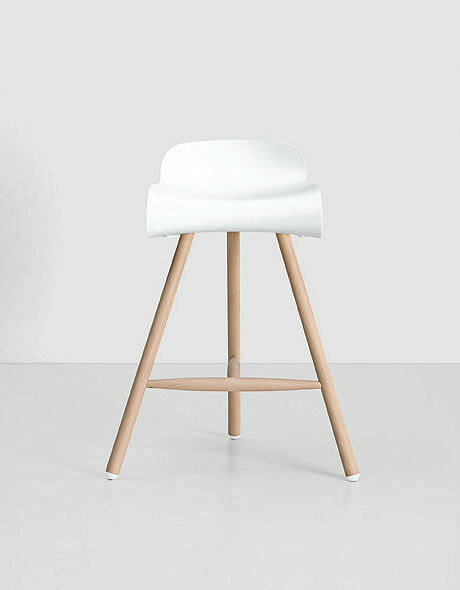 The seat, with its visible curves and ergonomic feel, is in special plastic, generally used as insulation for electronic components, as it is highly resistant to wear and tear, solvents and heat. 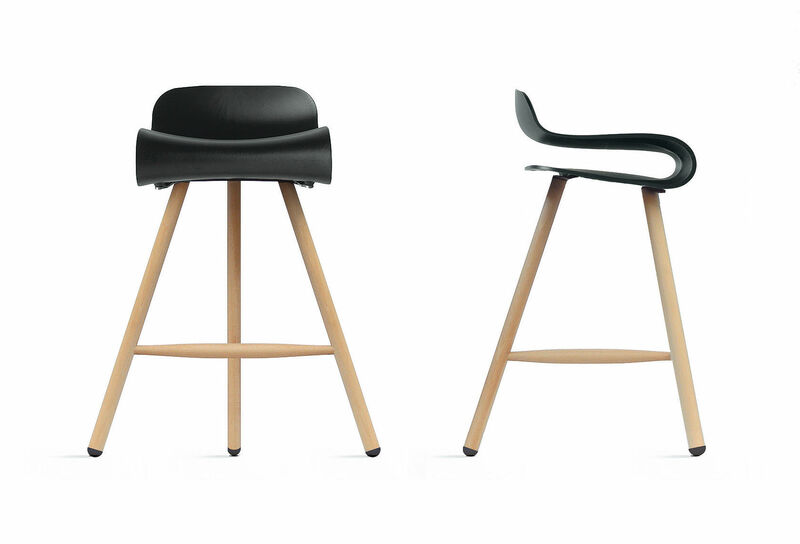 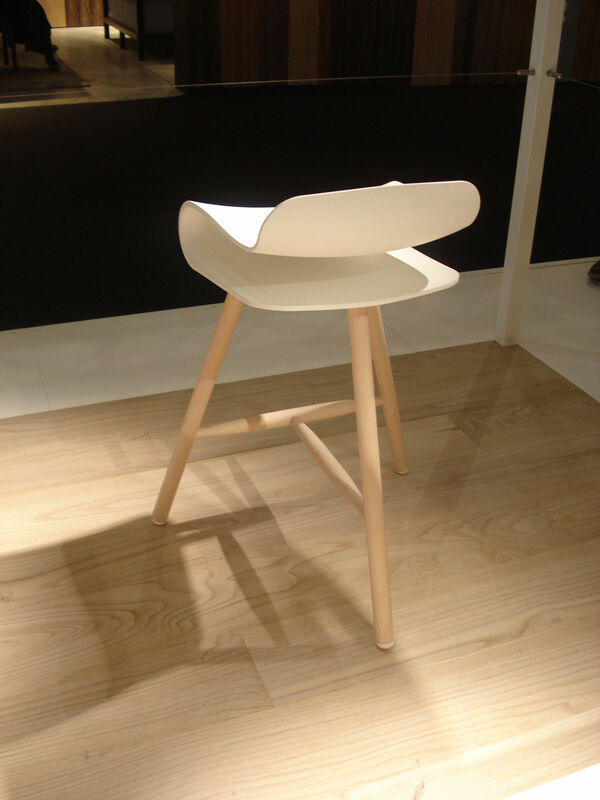 BCN is now available with a wood frame in a natural finish which contrasts with the seat!